To start the New Year I’ve been working on a few personal pieces. 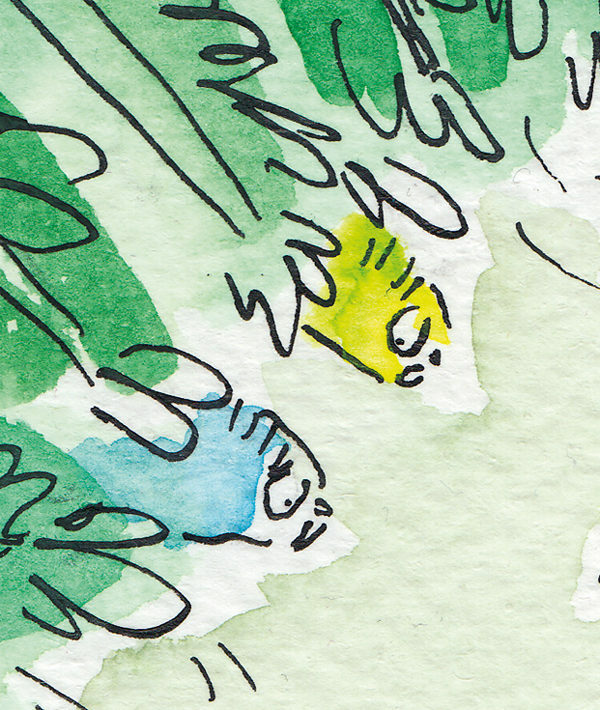 This budgie-filled illustration was inspired by a love of exotic birds. 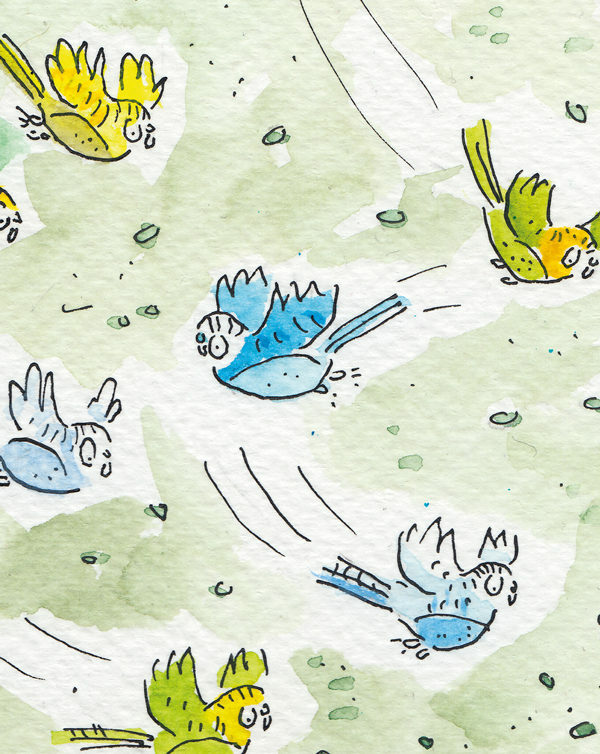 I particularly enjoyed drawing the mad flight of budgies across the scene in such varied colours. Check out my portfolio link for much more animal-filled antics! Hello there! 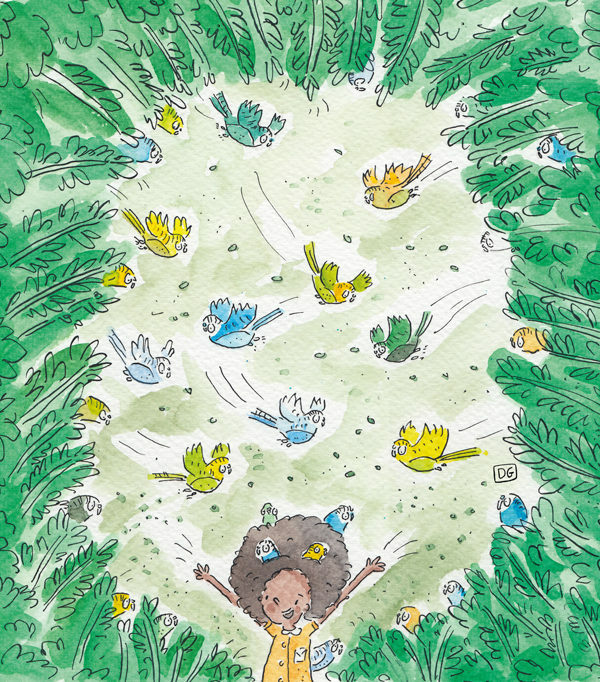 My name is Darren and I am an illustrator of children's books, young fiction, magazines and educational materials. I also create one off original prints and gifts. … Show more. Send a message directly to Darren Gate. “Darren is an enthusiastic, committed illustrator who is a pleasure to work with. He listened closely to our brief and feedback, he was a good communicator and he created some great artwork for us. We'd be very happy to work with him again! Hello there! 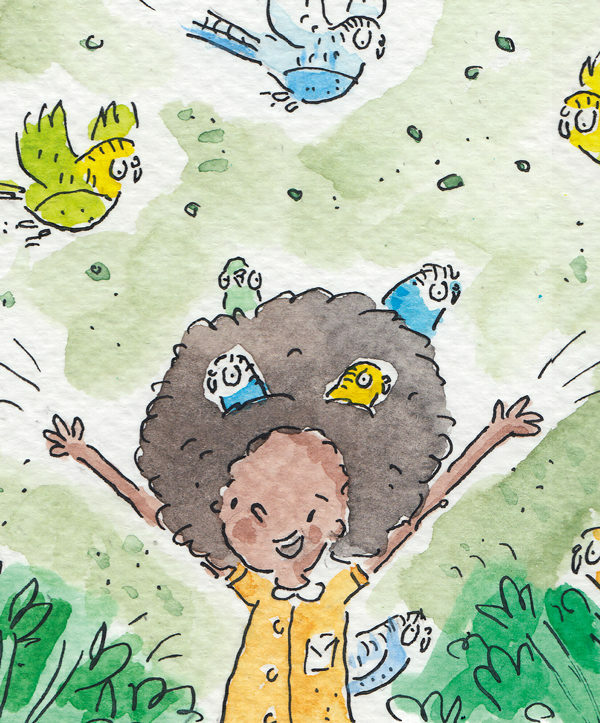 My name is Darren and I am an illustrator of children's books, young fiction, magazines and educational materials. I also create one off original prints and gifts. I'm very open to projects on set or tight budgets, big or small. If you'd like to chat about a possible project feel free to drop me an email.